Let's go let's go let's go let's go, on the road again! 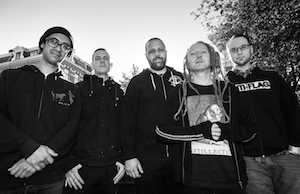 CJ will be playing at Garden Summer On in Olbia (Italy) and Resurrection Warmup Fest in Viveiro (Spain). 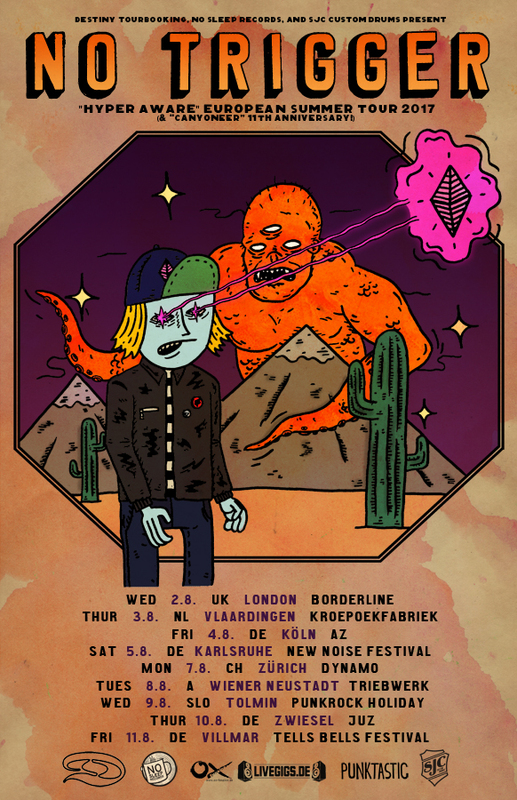 Unfortunately, Great Collapse​ have to cancel their upcoming tour in June. Please send some positive vibes their way. They had it a long time coming, but we can finally announce that NOT ON TOUR has officially joined the Destiny Family! 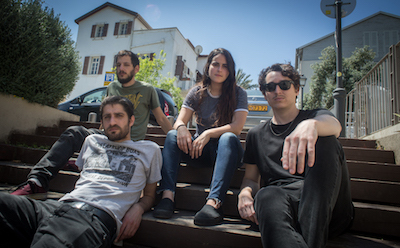 The four-peace from Israel has been touring all over the place, with bands such as Masked Intruder, Teenage Bottlerocket, Off With Their Heads and did a rad tour through Japan with Strung Out and A Wilhelm Scream. 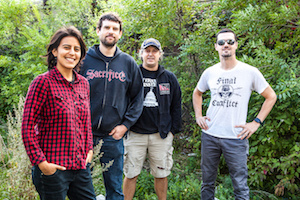 Please give it up for the one and only Propagandhi!! 9 August 2017 GER, Wiesbaden - Schlachthof Wiesbaden - only German show! 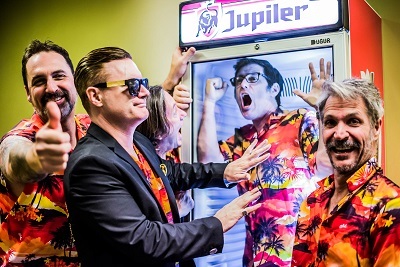 ME FIRST AND THE GIMME GIMMES - SEE THEM BEFORE THEY GET (RE)TIRED! The greatest cover band of all times Me First And The Gimme Gimmes are coming to YOUR town or close by with their greatest hits of all times! Don't miss out on this! 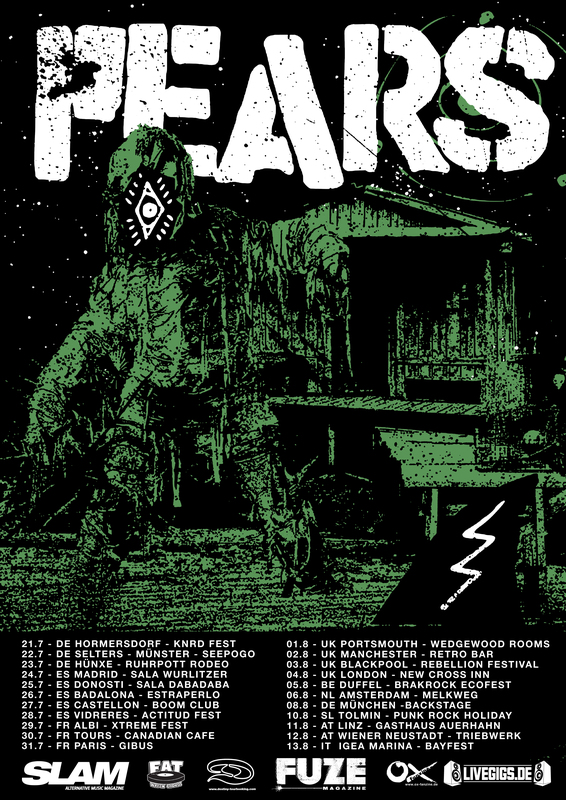 We love PEARS and we love long tours - so why not combine our two passions and send the four dudes on a 3,5 week long European tour this summer?! One big La Ola for Pears, please! 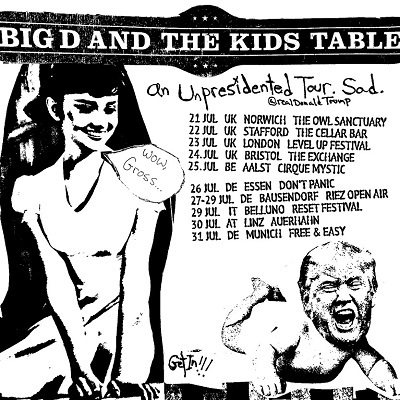 Can't wait for Big D and the Kids Table to come back to Europe! 27.07.17 - 29.07.17 (DE) Bausendorf - Riez Open Air 2017!!! We've got some very exciting news that will lighten up your day!! 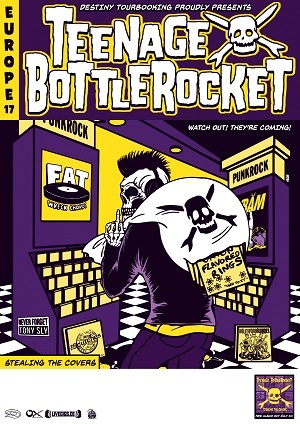 The one and only HEPCAT will finally come back to Europe!! NO TRIGGER ON THE ROAD! FINALLY! We are very happy to announce the upcoming No Trigger tour called ‚Hyperaware European Summer Tour 2017 (& „Canyoneer" 11th Anniversary). Don’t miss the band on these upcoming dates - who knows if and when you will get a chance to see them again!